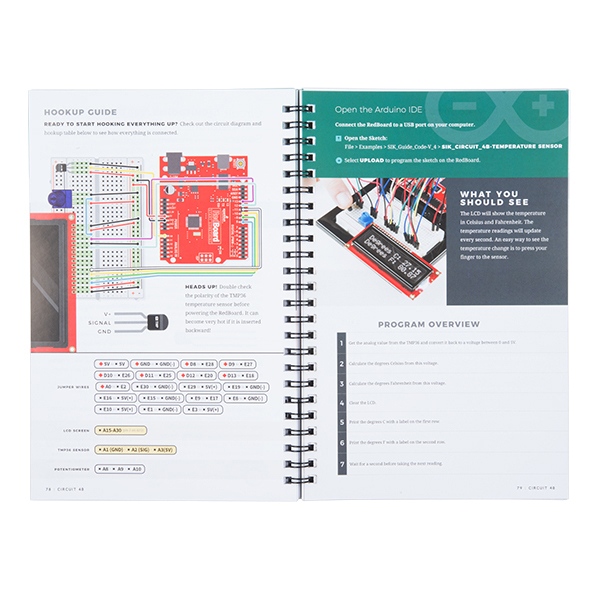 The full-color SparkFun Inventor's Kit Guidebook V4 contains step by step instructions with circuit diagrams and hookup tables for building each project and circuit. 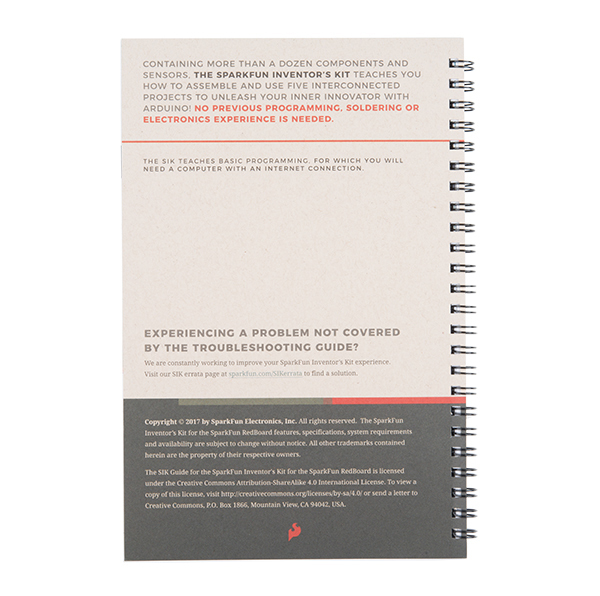 Full example code is provided, new concepts and components are explained at point of use, and troubleshooting tips offer assistance if something goes wrong. Once you make your way through all of the example circuits you will have a much better grasp on programming electronics! For SIK version 4.0 we took an entirely different approach to teaching embedded electronics. In previous versions of the SIK, each circuit focused on introducing a new piece of technology. With SIK v4.0, components are introduced in the context of the circuit you are building, and each circuit builds upon the last, leading up to a project that incorporates all of the components and concepts introduced throughout the guide. With new parts and a completely new strategy, even if you’ve used the SIK before, you’re in for a brand-new experience! 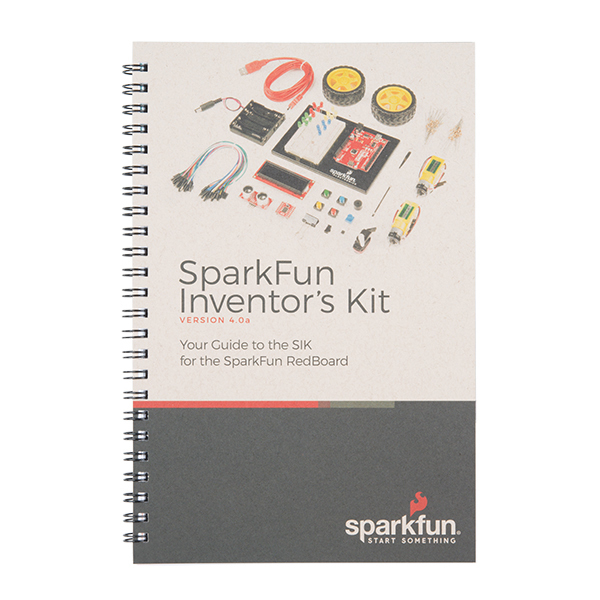 Note: This is just the manual for the SparkFun Inventor's Kit - v4.0. The kit itself or the individual parts used in this book will need to be purchased separately.